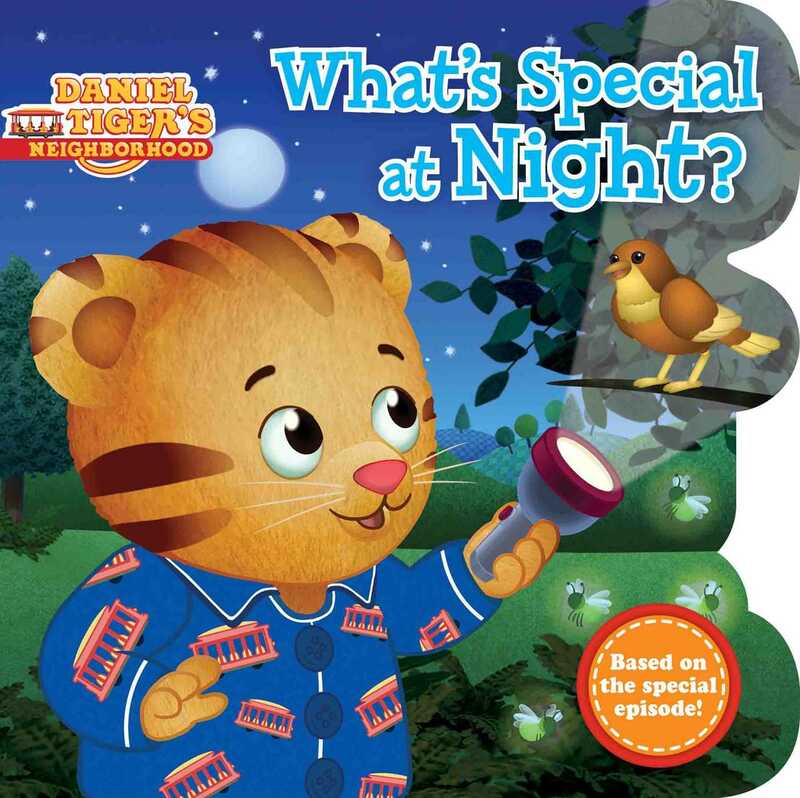 Join Daniel Tiger and his family on a nighttime walk through the neighborhood in this charming new board book based on a popular episode of Daniel Tiger’s Neighborhood! It’s a beautiful night in the neighborhood, and Daniel Tiger and his family are going on a walk. Do you want to come along? From the sleepy shops on Main Street to the big starry sky, let’s find out what’s special at night! Based on a tentpole episode, this sweet storybook is the perfect bedtime story for every Daniel Tiger fan. Book Cover Image (jpg): What's Special at Night?